With the recent app revolution, insurance companies have been hard at work developing mobile apps to help their clients. Apps like Liberty Mutual’s “Home Gallery” app is a great example of this, allowing users to take pictures of the objects in their home to record price, purchase date and other data. Inspectors for insurance companies have also found use in mobile apps as a one-stop replacement to the clipboard full of documents they used to have to lug around. Truth is, most of these insurance and inspection apps are just mobile forms with a few added features. Snappii can combine the features of all these apps using its intuitive app editor. Mix and match features you would like to see in your mobile app, and with the click of a button you have an all-in-one solution. Since most of our features are inspired from other mobile apps, it’s easy to visualize how your mobile app will function and flow. Click here to try it out for yourself! While Snappii can’t help you if you’re trying to create an app for a specific company, like Liberty Mutual’s “Home Gallery”, it can help you out to create your own mobile apps to meet your specific needs (which do pretty much the same thing). Since we were just talking about it, a “Home gallery” app is a mobile app that allows you to document all of your household belongings. These apps usually allow you to list details about a particular item, such as the cost, the purchase date and can even categorize items into their own lists such as “kitchen” or “bathroom”. The most important feature, however, is the ability to take pictures of the items you choose to document. In the case of an emergency, where you may have to evacuate the premise, the home gallery app can help you with opening an insurance claim for your possessions when coupled with the receipts. Snappii’s “home gallery” template works in a similar fashion. Document the items, take pictures, and they’re automatically uploaded to a cloud for safekeeping. The biggest advantage with going with Snappii, however, is that the fields you chose to list in your inspection are completely changeable. Company-made mobile apps leave you limited on what you can and cannot do. But with a DIY mobile app, there’s no limit to the amount of data you would like to record. Do whatever works for you! Insurance brokers are no strangers to filing paperwork. 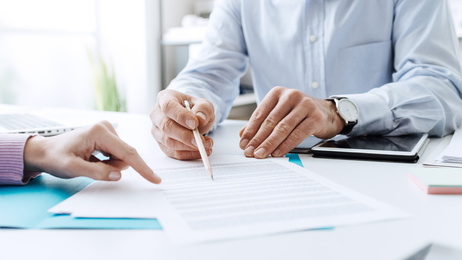 Whether you’re taking down information over the phone, or meeting with the client face-to-face, somewhere along the line there’s going to be paperwork that the broker needs to keep for their records. These papers end up getting filed in one of those heavy, giant file cabinets that sits in the corner of the office, collecting dust, for years. If the broker ever needs to look through it again, it will probably be an all-day affair. Mobile forms take out the middle man. Brokers would only have to sit back and simply tap the corresponding fields on their mobile form. Once the information is done being received, the broker can send it away to be archived for future reference with the click of a button. This enables them to have their entire office in their pocket, and save precious time from transaction to transaction. The problem with coding your own app from scratch is just that – you have to code every single thing from scratch. One of the biggest benefits of a mobile app editor is that it’s easy to go back and make changes to things you already use. Lowering the amount of commitment a person has to make to the mobile app allows the user to test out new techniques and try different things. To make this process even easier, Snappii developed what’s called “templates”. Templates are pre-made apps that already have the bulk of the work done for you. You can load the template into the editor, navigate to the parts you would like to change and within minutes have your app deployed on every user’s phone. This not only gives you a head-start, but it gives you that same flexibility to try out what works for you! Insurance companies have been making mobile apps for years. From home inventory, to insurance inspections, these companies have always had the upper-hand with the power of technology. Now, the power of building your own mobile app can be yours with the help of Snappii. Try our editor out today! This entry was posted in Blog and tagged Mobile Apps, Mobile forms by Steven Rovito. Bookmark the permalink.